Posted in: Authors, autobiography, books, comedy, Readers, Reading. Tagged: autobiography, David Jason, My Life, Only Fools And Horses, Ronnie Barker. 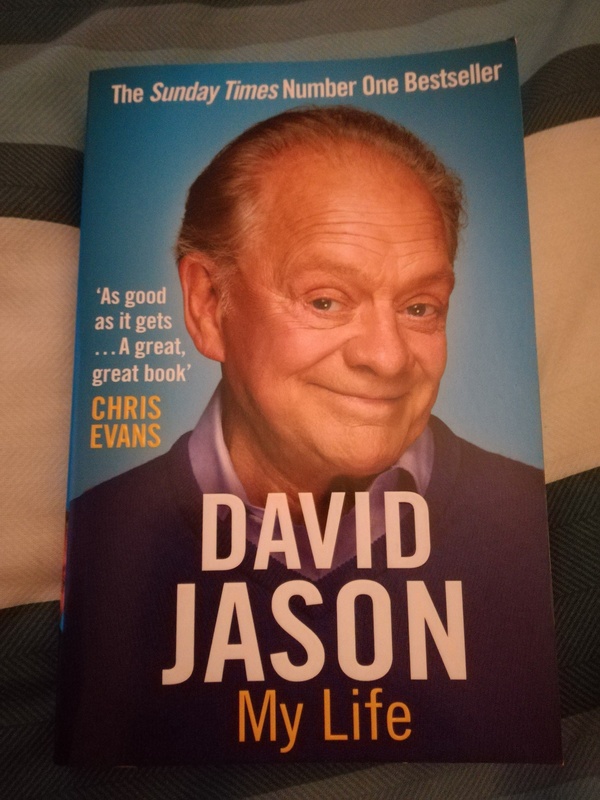 Just finished reading David Jason’s autobiography which my fantastic fiancee gifted me on my 41st birthday several weeks ago. What can I say about it? Well, as Pa Larkin might say…Perfec’. David takes us right back to the 1940s telling us all the things he got up to in post war Britain, then takes us through his early days as an electrician right the way up to his Knighthood in the mid noughties. Several highlights include how many injuries he’s had over the years, having to avoid the advances of a gay actor in a small room, and unwittingly being in a film that turned out was rather rude. But all of this is eclipsed by the admiration he has always had for his own idol Ronnie Barker, and the final page is a beautiful tear jerking testimony to it.